Welcome to Twin Blocks by Dr. William J. Clark, Inventor of Twin Blocks and TransForce appliances. Dr Clark is the first recipient of an award of distinction from the British Orthodontic Society for an outstanding contribution to the specialty of orthodontics. In 2008 he received the first award from IFUNA for personal outstanding international service to functionalism and orthodontics. 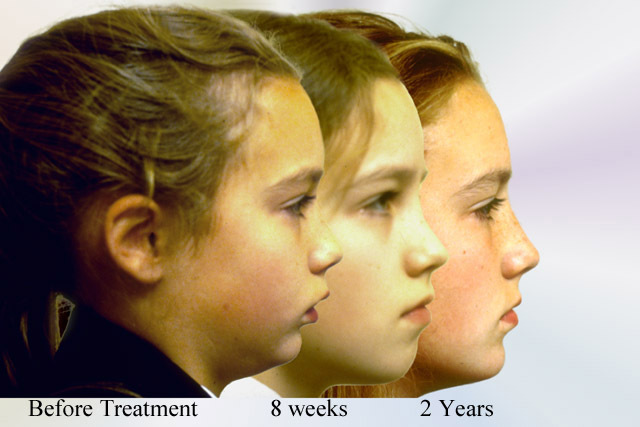 Dr Clark developed the Twin Block Technique in 1977 in his orthodontic practice in Scotland. 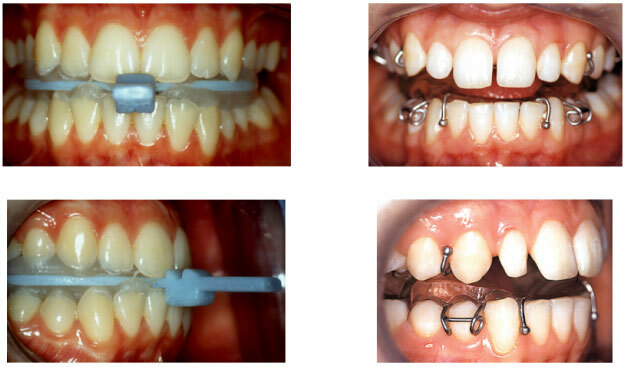 In 2004 Dr Clark developed invisible TransForce Appliances to correct arch form and align the anterior teeth. Twin Block appliances are simple bite blocks that are designed for full-time wear. They achieve rapid functional correction of malocclusion by the transmission of favourable occlusal forces to occlusal inclined planes that cover the posterior teeth. The forces of occlusion are used as the functional mechanism to correct the malocclusion. Before treatment this patient has the typical listless appearance, of many severe Class II division 1 malocclusions, evident in the dull appearance of the eyes and poor skin tone. After only 3 months treatment the patient undergoes a dramatic change in facial appearance. She appears more alert and there is a marked improvement in the eyes and the complexion. This is a fundamental physiological change, extending beyond the limited objective of correcting a malocclusion. This new e-book on TransForce Orthodontics introduces an exciting development in interceptive orthodontics using invisible TransForce lingual appliances for arch development. TransForce Transverse and Sagittal appliances are pre-activated with enclosed nickel titanium springs to deliver light physiological forces to correct arch form from the lingual aspect. This is State of the Art in Functional Therapy and how to combine fixed and functional techniques. This is a great way to educate staff in dental and orthodontic practice and illustrate the benefits of functional therapy for patients. TransForce Lingual Appliance represent a revolution in interceptive treatment from mixed dentition to adult therapy. This is an excellent Pre-Aligner Technique to simplify the treatment of difficult malocclusions. I have been practicing Orthodontics for 30 years and recently became interested in functional orthopedics and the Twin Block. Thank you for writing such a detailed and easy to read book. This is one of the most illustrative texts I have ever come across. 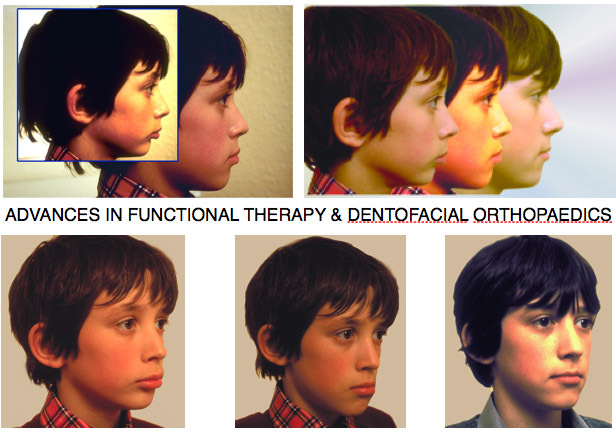 The variety of malocclusion and facial types and intricacies in their management are supported with photos and text. It provides an insight and guidance to student and practitioner and teacher in orthodontics in management strategies, outcome and limitations of orthodontics. What impresses, are the sheer number of beautifully recorded and treated cases, the variety of techniques that have been used. Reading this book has introduced me to a lot of new ideas, many of which I will certainly be trying out in my own clinical practice. it will appeal to orthodontists at many different levels of experience and I would heartily recommend it as a pleasure to read. Dr Clark is currently carrying out a clinical trial of Invisible Clark Twin Blocks. This exciting new design is ‘patient friendly’ and is producing outstanding results. It may be integrated with fixed appliances and will be available for purchase soon. The preformed components simplify construction and significantly reduce the laboratory time required.